Place the coconut, macadamias, honey, cashew butter and vanilla into your kitchen appliance and pulse till the mixture is sleek, counteracted and projected along. Add the pistachios and cranberries and mix till the round the bend square measure roughly shredded and also the mixture is well combined. Use your hands to firmly press and form the mixture into balls. Roll the balls gently in coconut and place within the icebox to line. 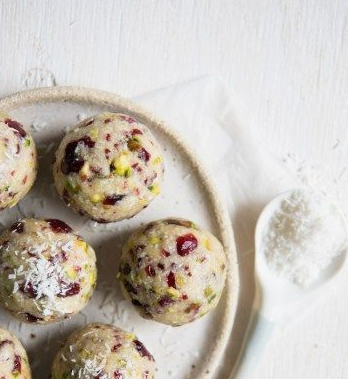 0 Response to "Cranberry and Pistachio Bliss Balls"